Organised by Aesthetica Magazine, the international art and culture publication, in partnership with York Museums Trust, the Art Prize is a platform for emerging contemporary artists from across the world to bring their work to a wider audience. Taking place in the exceptional setting of York St Mary’s – York Art Gallery’s contemporary art space, the exhibition reframes the relationship between the historic and the contemporary by uniting the international rising stars of the art world in a major group show. 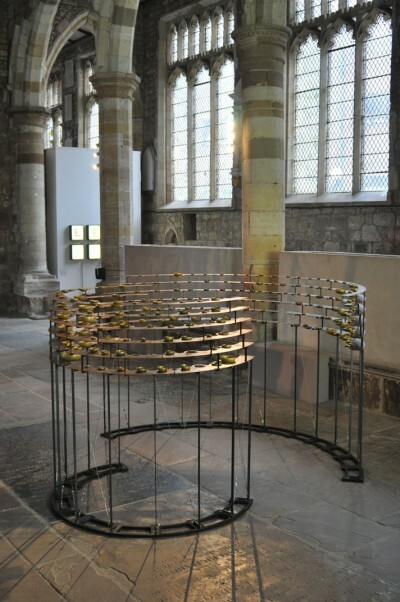 Longplayer is one of the four Main Prize finalists. A 1:3 model of the original installation has been made for the exhibition, alongside the audio clip from the 1000 minutes performance.